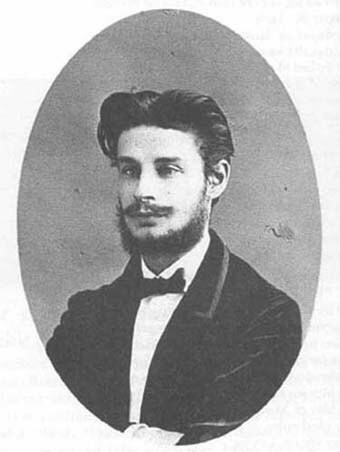 Educated in law at the University of Copenhagen, Brandes had a strong interest in philosophy and aesthetics, graduating in 1864 with a Master of Arts.Over the next six years, he traveled widely in Europe and met John Stuart Mill and Hippolyte Taine, both of which had an influence on him. In 1871, he became a lecturer at the University of Copenhagen and was a leading proponent of naturalism and realism in Danish literature and art. His lectures were later collected in Main Currents in 19th Century Literature in 1890. Brandes made numerous friends throughout Scandinavia including Ibsen, Bjornson, Kielland and Strindberg. In 1877, he moved to Berlin and published Danish Poets later that year. In 1902, he returned to Denmark and became a professor at the University. Always controversial, Brandes published many works which received negative criticism, especially perhaps his Jesus, a Myth in 1925. His other works include Lord Beaconsfield (1879), Men of the Modern Breakthrough (1883), Aesthetic Studies (1888), Impressions of Russia (1888), Thoughts of Life and Art (1902), The World War (1916), Travels in Greece 1925) and Petrus (1926).